Bruce Blakely DC Inc.-San Diego, CA | FREE EXAM and CONSULTATION! Car Accident Doctors! FREE CONSULTATION! FREE First Exam and Consultation! I have helped auto accident patients in our conveniently located San Diego office for over 30 years. We understand soft tissue injuries and treat in a low force technique that results in consistent relief. We handle all medical referrals on a lien if necessary. If you have been involved in a car accident in the Central San Diego, CA area, you are in the right place! Central San Diego, CA doctor specializes in the treatment of car accident injuries such as neck, back, shoulder and hip pain. Chiropractor doctors on this site accept accident liens from attorneys so there will be no out-of-pocket costs for your accident injuries treatment. Central San Diego, CA doctor treats car accident injuries and pain caused by automobile accidents. Whether you are suffering from back pain, neck pain, headaches, or even muscular tightness and tension and stiffness as a result of an accident, call a Central San Diego, CA chiropractor immediately. During a car accident, the sudden and forceful impact causes the body to move in two opposite directions. This is hyperflexion/hyperextension or a whiplash. Depending on the severity of the impact, the muscles, tendons, and ligaments are forcefully overstretched causing tearing. This tearing in the soft tissues of the neck and/or back muscles can cause immediate pain and stiffness. The spinal vertebrae, due to the whiplash, can often misalign and also cause pain and loss of motion in the affected bones. At times, the pain does not immediately appear, but it can occur one to four days later, or sometimes longer. In other cases, especially in younger individuals, the pain sensation may only last a few days and then disappear. Regardless of the symptoms, an examination by a doctor of chiropractic is necessary to determine the extent of the injury and the appropriate treatment plan. Immediately after a car accident, the most useful treatment is ice therapy on the affected areas. Five to ten minutes of ice at a time is best, with ten to fifteen minutes off, in between. This should be performed at least five times daily in the first two days following the auto accident. Avoiding excessive standing, or sitting, as well as lifting heavy objects is critical to proper healing. At times, it may be necessary to have a leave of absence from work, especially if the work duties involve physical work. If you have been involved in a car accident in the Central San Diego, CA area, whiplash injuries need to be taken very seriously. Because symptoms of a whiplash injury can take weeks or months to manifest, it is easy to be fooled into thinking that you are not as injured as you really are. Too often people don’t seek treatment following a car accident because they don’t feel hurt. By far, the most common injury to the neck is a whiplash injury. Whiplash is caused by a sudden movement of the head, either backward, forward, or sideways, that results in the damage to the supporting muscles, ligaments and other connective tissues in the neck and upper back. Unfortunately, by the time more serious complications develop, some of the damage from the injury may have become permanent. Numerous studies have shown that years after whiplash victims settle their insurance claims, roughly half of them state that they still suffer with symptoms from their injuries. If you have been in a motor vehicle or any other kind of accident, don’t assume that you escaped injury if you are not currently in pain. Contact your Central San Diego, CA chiropractor immediately after a car accident to receive your free car accident evaluation! 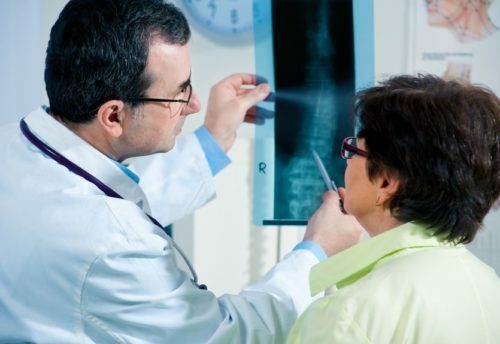 WHY CONTACT YOUR Central San Diego, CA CAR ACCIDENT CHIROPRACTOR IMMEDIATELY AFTER AN ACCIDENT? Your Central San Diego, CA car accident chiropractors treat injuries that are a result of motor vehicle accidents, whether they are severe or mild. It is very important that you have a car accident chiropractor examine you immediately after an accident to determine if your injuries are serious and give you the treatment necessary for the proper correction of your symptoms. Many times patients are unaware of the severity of their injuries in the first few days or even weeks after the accident. Unfortunately insurance companies in Central San Diego, CA are notorious for denying car accident claims if the victim did not contact a chiropractor that specializes in car accident treatment within the first 2 weeks following the accident. WHAT IF I DON’T HAVE ANY PAIN AFTER THE ACCIDENT? Even if you do not experience any immediate pain after the car accident, it is important to have an examination performed by a doctor that specializes in whiplash that results from a car accident. A whiplash is a very serious injury that may not have immediate symptoms. It sometimes occurs with a very small impact. When the body is suddenly forced in a sudden flexion and extension state such as it happens during an impact from the rear, the muscles of the neck and back can experience tiny tears. These small tears may or may not cause symptoms of neck or back pain immediately. Unfortunately the symptoms may not appear for months or even years and the patient may not even relate their symptoms to the past accident. If left untreated, these micro tears can cause scar tissue in the injured muscles as well as cause degeneration and arthritis in the joints that they control, over time. Your Central San Diego, CA accident chiropractors will check your spinal vertebrae for misalignments, the range of motion of your neck, back, shoulders and other affected areas to determine if an injury occurred. Don’t take a chance with your health. Call one of your Central San Diego, CA chiropractors even if you do not have any back or neck pain. MY MEDICAL DOCTOR GAVE ME MEDICATION? ISN’T THAT ENOUGH? Sometimes the medications can relieve the symptoms of car accident injuries, which can be very helpful for temporary relief. Accident chiropractors will help correct the underlying structural damage such as a misaligned vertebrae and injured muscles using conservative methods. The underlying structural damage, if left uncorrected, can have long lasting effects that may not be prevented by taking the medications alone. DO Central San Diego, CA CHIROPRACTORS ACCEPT LAWYER LIENS? Yes, all of the Central San Diego, CA chiropractors listed on this website agree to accept accident cases on a lien. Of course, that can be determined for each individual case at the time of the first visit. DO I NEED AN ATTORNEY TO GET TREATMENT? No, not necessarily. Central San Diego, CA car accident chiropractors can offer you the treatment necessary in different scenarios. Sometimes, patients have their own Medical Coverage under their Central San Diego, CA auto insurance. This insurance is called Med Pay and it covers you whether the accident was your fault or not. There is also the possibility your Central San Diego, CA chiropractor will accept a third party lien, meaning he or she will get reimbursed by the car insurance of the party at fault. Each Central San Diego, CA car accident chiropractor will collect all the information necessary to determine if your treatment will be covered and give you a specific answer after reviewing all the accident information. It is probably more important that you visit your Central San Diego, CA chiropractor first to determine if you have any injuries related to the car accident and at that time make a decision if you will need to hire an attorney or not. WHAT KIND OF SYMPTOMS ARE COMMON AFTER AN ACCIDENT? Most common injuries that occur during a car accident are related to soft tissue damage. These consist of injuries to ligaments, tendons and muscles. Unfortunately these injuries are not shown on X-rays. That is why it is very important to have your Central San Diego, CA accident chiropractor document them as soon as possible. These type of injuries can cause symptoms such as neck pain, upper back pain, shoulder pain, headaches, middle back pain, lower back pain, knee pain, hip pain and tightness and stiffness in all these areas. Also soft tissue damage can cause a limitation of mobility or range of motion in the above areas, either due to pain or swelling. Other symptoms of car accidents can be dizziness, blurred vision, fatigue, numbness and tingling to the arms or legs. Of course in severe cases, fractures of bones, severe lacerations and bruising can occur. HOW LONG DOES A CAR ACCIDENT TREATMENT IN Central San Diego, CA TAKE? Each case is very different. Your Central San Diego, CA car accident chiropractors will determine the length of your treatment depending on the injuries you incurred as a result of your accident. Most of the time, your chiropractor will suggest a more frequent schedule in the first four to six weeks following the car accident and tapering it off as your accident symptoms improve. WHAT IF I NEED TO TAKE TIME OFF AFTER A CAR ACCIDENT? Your Central San Diego, CA car accident chiropractors can recommend time off work after performing the initial accident examination. Factors such as work duties and severity of injuries will determine the amount of time that your accident chiropractor can recommend for time off from work. Your chiropractor may also recommend that you will avoid physical activities such as walking, running and exercising following an accident.